Oral surgery removes damaged or diseased teeth as part of a restorative treatment plan. It is often the first procedure that doctors will perform before placing a crown or dental implant. Surgery trained prosthodontists at Dental Restorative Group regularly conduct oral surgery in Belmont and in office locations throughout Greater Boston. Often, those in our care come to us based on referrals from general dentists and past patients. Part of the reason people rely on us is because our specialists are experts in restorative and replacement procedures. This allows us to establish a healthy, strong foundation for a new prosthetic tooth so that the tooth is durable and aesthetically pleasing. Coupled with a focus on the patient experience, extended office hours, and participation in a variety of insurance networks, Dental Restorative Group offers patients greater convenience, comfort, and quality outcomes. Damaged by decay beyond restore. Oral surgery removes teeth and damaged bone and tissue to provide a healthy foundation for an implant or a man-made crown. 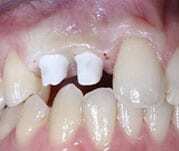 Doctors may not be able to heal teeth that are seriously damaged or diseased. Rather than allowing teeth to continue to deteriorate or bacteria to spread, you may be better served removing the teeth with oral surgery. Our doctors can extract the teeth as well as surrounding tissue and bone that are damaged. They can also create a cleaner, healthier base for placing a crown or dental implant. 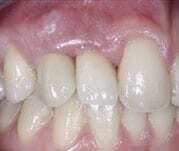 The result is a replacement tooth that restores the aesthetics and full function of the original. Visit a practice location in Belmont, Cambridge, or Arlington for an initial consultation. As part of the experience, you will receive a comprehensive examination and provide a medical history. Many of our oral surgery patients are in their 60s and older, and so we take particular care to review these details and to ensure that patients are good candidates for treatment. Some of those we see come to the initial visit with anxiety about their surgical procedure. It is completely normal to have concerns, particularly if you have had a bad experience with another provider in the past. Take the time to help you understand what to expect in your procedure. Make certain you are satisfied with your treatment plan. Answer any questions you have about your care. Most patients find comfort knowing that our doctors are specialists who have years of experience performing oral surgery. They contribute to research in the field of prosthodontics, are instructors at Ivy League institutions, and, more than anything, value patient comfort and safety. With this background, you can have every confidence in our ability to perform procedures as non-invasively and gently as possible. On the day of your procedure, your doctor will take the time to extract your tooth carefully and skillfully to preserve the bone structure. Our professionals are experts in creating strong foundations for prosthetic improvements. A local anesthetic can remove sensation from the site of your oral surgery. Warming the anesthetic beforehand and introducing it slowly can make its administration significantly more comfortable. Your doctor can provide sedative medication if you are highly anxious about your procedure. Feel free to discuss this option during your initial consultation. Dental Restorative Group will provide guidelines for care following oral surgery so that you can prepare in advance. Many patients will purchase over-the-counter medication before their procedure so that they can manage discomfort as anesthetic wears off. About one week after your procedure, your doctor will see you for a follow-up visit. This allows our practice to ensure that you are healing well and to make plans for the next step in your restorative treatment. Learn more about oral surgery in Belmont and Greater Boston. Schedule an appointment with Dental Restorative Group online or by phone.